On October 28th, 2018, Brazilians chose their president for the next 4 years. The running candidates were Universidade de São Paulo Professor Fernando Haddad and Captain Jair Messias Bolsonaro, a congressman in his 7th mandate who emerged as a prominent extreme-right figure during the impeachment of former President Dilma Rousseff, in 2016. This has been an acrimonious campaign led by Bolsonaro, whose platform is based on moral issues and public security. One of his proposals is to establish a self-defense presumption regarding law enforcement officers while in service. This post deals with the legality of this proposal under Brazilian and international law. According to a poll from September 2018 public security was the main concern of Brazilians (20%), alongside healthcare. Their priority is understandable. The country had 62,517 homicides in 2016 and appears at the top of the ranking on deaths caused by firearm. Brazilian police is both the most lethal one but also the most likely to be killed while in service. In this warlike scenario, Bolsonaro’s election is a reason for concern. One of his main public security proposals is to abuse an outdated notion of self-defense within Brazilian national security law, and turn it into a general legal rule applicable to law enforcement officers at all times, effectively removing all judicial control over them. Brazilian legislation states that law enforcement officers can use lethal force to fulfill their legal obligations, provided they do so proportionally. The Rules of Engagement for military operations under the constitutional intervention in Rio de Janeiro determined that lethal force can only be used if facing a “serious threatening act against the physical integrity of the soldier, third parties, facilities and/or material objects essential to the fulfillment of the mission”. Though these rules have been interpreted elastically, Military Justice does hold jurisdiction over the soldiers’ actions, being able to investigate them and, eventually, bring them to justice. Likewise, civil and military police action falls under the jurisdiction of the civil judicial system. Bolsonaro’s idea is to protect all law enforcement officers from investigation for the use of lethal force whether it was proportional or not, basically claiming officers have a standing order allowing them to use force to control crime as if they were always facing a situation of self-defense. He calls this a necessary measure to protect ‘good citizens’ and fight organized crime. But this immunization gives the state unlimited power of life and death over its citizens, leading to arbitrary executions. The proposal is, moreover, illegal from an International Law perspective. In February 2017, Brazil was found in violation of articles 5(1) 8(1), 22(1) and 25 of the American Convention on Human Rights. In the Nova Brasília case, the Inter-American Court understood that the Brazilian state had violated its obligations to investigate, bring to justice and punish those responsible for the arbitrary execution of 26 people allegedly involved in drug trafficking at the Complexo da Maré, Rio de Janeiro, in 1994 and 1995. The homicides were registered as if caused in an armed confrontation during a police incursion in the favela. The police recorded the crimes in a special type of police report termed auto de resistência, stating that the suspect had reacted and that his death was a consequence of police action to overcome his resistance. One effect of the autos de resistência was to discourage the state from investigating crimes under the assumption that police officers acted in self-defense. In the Nova Brasília case, nevertheless, the Inter-American Court concluded that such legal artifact was an obstacle to investigating state officers who might have acted in detriment to fundamental human rights of individuals. It is, in short, a form of denial of judicial protection. Also, the Inter-American Commission on Human Rights has already constrained the Superior Council of the Police to adopt a resolution dropping the use of these reports back in January 2015. 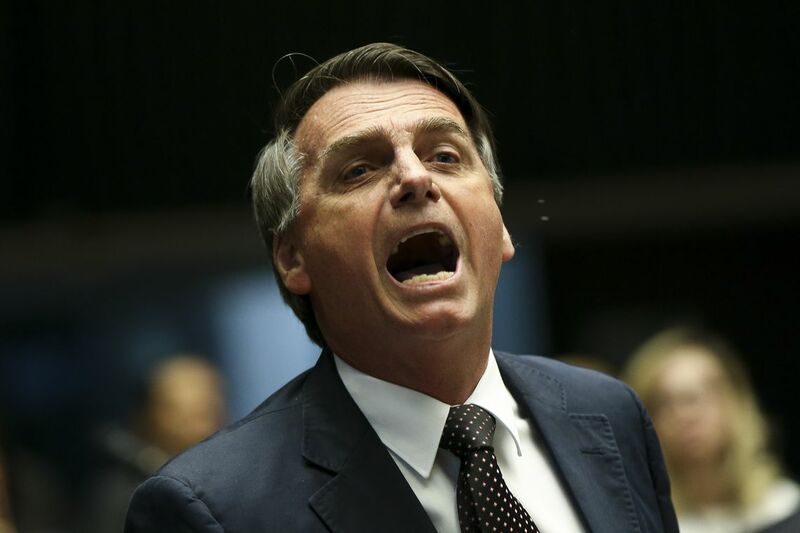 Bolsonaro’s proposal to create judicial impunity under the guise of “self-defense” is therefore not properly a retreat into a status quo ante regarding human rights in Brazil, but actually a radical proposal that incorporates arbitrary execution into the law of the land. From a broader International Law perspective, such a proposal would have the potential to transform Brazil into a criminal state. The categories of what counts as war and not-war can be helpful here. From a legal perspective, Brazilian cities are not at war. This means, as said above, that the police and the military cannot shoot to kill, absent self-defense. 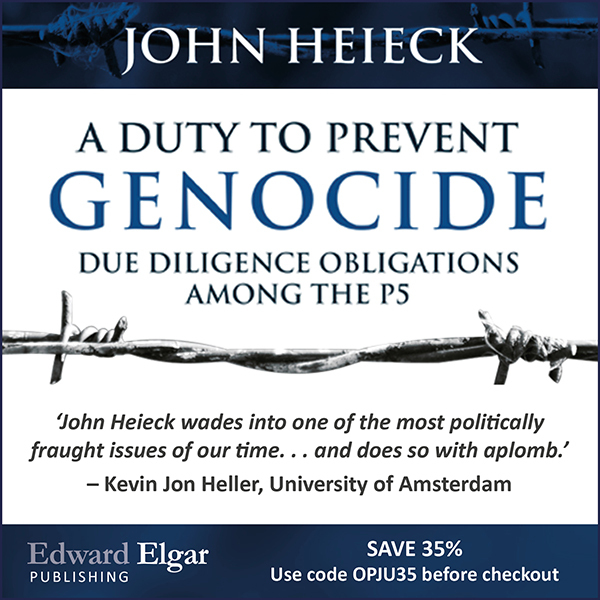 In an armed conflict, in turn, the state and its enemies are allowed to kill, but both constrained by International Humanitarian Law vis-à-vis each other and the civilian population. In practice, Bolsonaro’s proposal gives law enforcement officers a privilege akin to those granted to combatants, while denying it to his adversaries. They may end up therefore bringing vulnerable populations under a state of exception, where they can kill and be killed in disregard of International Human Rights Law and beyond the reach of International Humanitarian Law.